Monday, September 25, 2017 — In the aftermath of Hurricane Irma and Maria, the private sector continues to play a critical role in donating much needed emergency supplies and materials to the rebuilding effort on islands impacted. 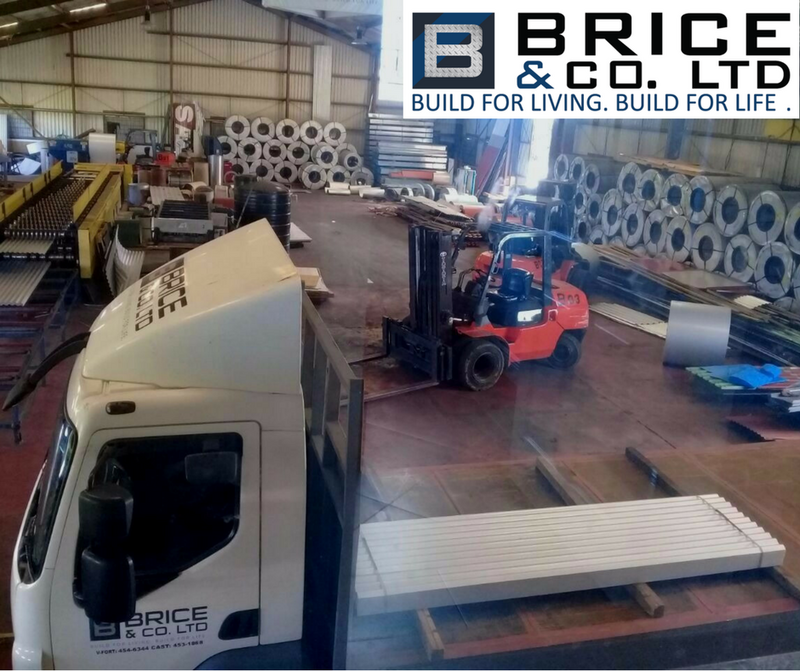 Saint Lucian roofing and building supplies manufacturer, Brice and Co. have donated a sizeable quantity of roofing materials to Antigua and have followed up with another donation of water to Dominica which left last Friday 22nd September. Brice and Co. Managing Director Eaton Jn Baptiste said that management and staff shared in the pain, loss and devastation with our sister island of Dominica. “Hurricane Maria destroyed your island but not your spirit. As a people you will rebound to rebuild better communities on your beautiful nature island. “Our thoughts, prayers and resources we share with you during this difficult period. “As a commercial enterprise our legitimacy to operate also lies in our corporate social responsibility to our broader Caribbean family and I urge other businesses to donate funds or in kind if they are in a position to do so” said Mr. Jn Baptiste. OECS Director General Dr. Didacus Jules said Brice and Co. was an exemplary model business that was showing great heart in times of dire need and their contributions as with other private sector contributions were not going unnoticed. “The management and staff of Brice and Co. are to be strongly applauded for their substantial contributions to our fellow brothers and sisters in their times of need. “The OECS Commission as a tendering organisation for regional projects impartially assesses firms on their commercial and non-commercial attributes and we note with earnest those private sector entities that have demonstrated commitment to the OECS during this crisis” said Dr. Jules. The OECS Commission will be showcasing other private sector entities making contributions to the Hurricane relief effort.